A joint session of the Ottawa County commissioners and the county excise board pushes Sheriff Jeremy Floyd to look for more staff cuts. Dowe: a joint session of the ottawa county commissioners and the county excise board pushes sheriff jeremy floyd to look for more staff cuts. This is koam news at ten. Koam's chris warner spoke with the district attorney who tells us -- something needs to be done so that taxpayers don't end up footing the bill. Wright: "if more substantial action was taken six months ago it wouldn't be nearly as painful as it is today." District attorney kenny wright sums up the head of the special meeting. The sheriff's department is substantially over budget, and the county is running out of options.wright: "there's nobody that can tell the sheriff what to do here, i can't make him do something, the county commissioners can't make him do something, and the excise board can't force him to do things." The county has called for an audit of the sheriff's department finances, however, wright says the state is backed up, and they have no idea when the state could get to them. 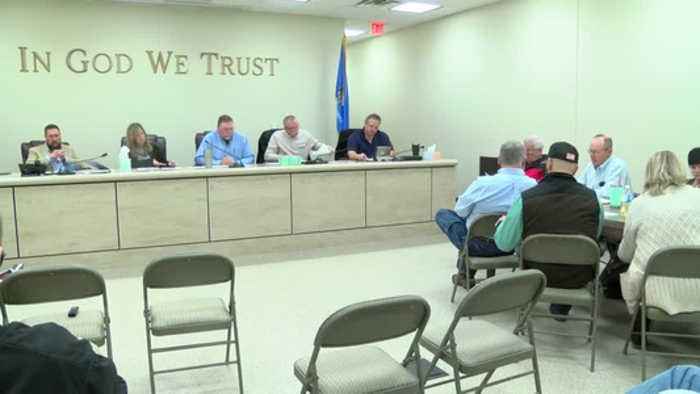 But he says there may be another option.wright: "the sheriff's office is due for it's regular operational audit which comes every two years, the sheriff mentioned this to me the other day.//so there's a possibility we might almost be able to substitute those." Which could be helpful to the county as well - as the county has to pay for the special audit, but the regular audit, is already taken care of. Wright says there are two other worst-case scenario's that could play out for the county. One of those, the removal of sheriff floyd from office.wright: "oklahoma provides for what's called a taxpayer lawsuit, there's all sorts of rules, but if enough taxpayers get together and make a complaint to the government and actually in the form of a lawsuit, they can call for a public officials removal, for any of the statutory reasons." Additionally, under certain circumstances, the commissioners could call for his removal. The other, is the county, runs out of money completely, for any operations.wright: "we would have to work with vendors and providers to be able to let them know, hey you're going to have to do something for us or give us something, we can't pay you for it, you're going to have to sue us, and, after that's reduced to a judgement that goes onto the tax rolls and the tax payers of ottawa county have to pick up that bill, and that's what we're absolutely trying to avoid here." Wright says at this time, anything is possible, but the county commissioners and the sheriff's office are working to try to resolve the budget issues - and right now, officials have told sheriff floyd he must continue to terminate staff, and have a list of positions he can cut and how much it will save the county, by the upcoming monday meeting. In miami, chris warner, koam news. Dowe: sheriff floyd was unavailable for comment at the end of the meeting due to an appointment.